It's been a fair few years now since I started blogging and the 'blogging landscape' or whatever you want to call it has changed dramatically in both good ways and bad. I thought I'd share my top tips and what I've learnt along the way. You should start or run a blog because you want to do it. 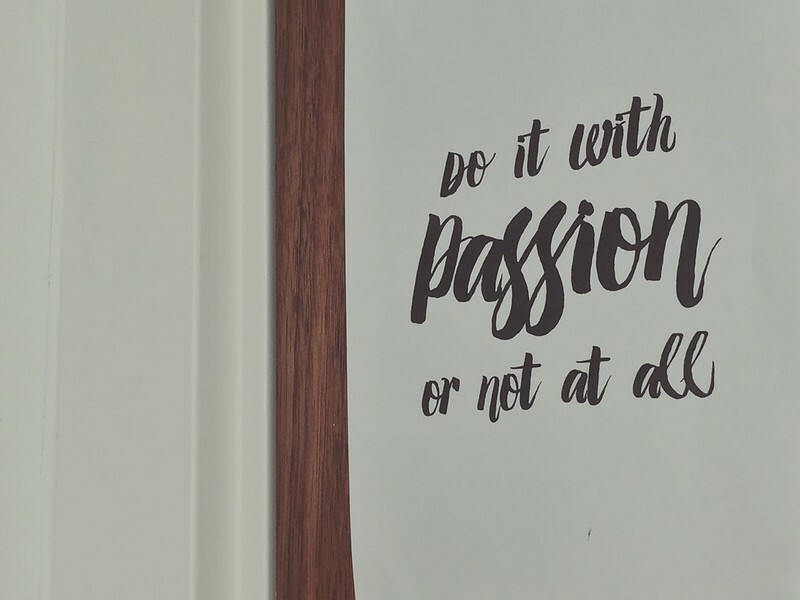 Because you're passionate about it. If you're not - it will show through. Plus it takes up a hell of a lot of time, so why waste that time if your heart isn't in it. If you've been doing it for a while and no longer enjoy it, don't do it anymore. You're not in a contract with the internet - when it comes to blogging, you're your own boss. Sometimes it's good to take breaks too, if you find your passion wavering. A little time off can do the world of wonders and help re-motivate you and give you a new lease of life. I go through phases of being passionate about my blog, and when I find I don't want to, or emotionally that I can't, I don't. I don't know in 2015 how many blogs are out there, but I can hazard a guess by saying A LOT. Without sounding brutal, you're a needle in a haystack so find your niche. Find what makes your blog unique and what will make yours stand out. Maybe you take amazing fashion photography or have a quirky way with words that will entice readers - whatever it is, take that talent and run with it. Some days you may have more inspiration than others. I have days where I write non-stop and save so many drafts I forget about them. Others I have none. So schedule some time in to plan your blog. Create a content calendar with what you want to write about. Include key dates if you want to target that market. What I mean by that is wedding outfit suggestions towards spring, gift lists towards Christmas etc. If you have a spare day with good light, try and get all of your photography done then. Write up posts in advance and schedule them in. Use social media tools to optimise your planning - like Hootsuite and Latergram. Planning doesn't always work for everyone. Some people thrive off planning and find that works best for them and their blog. Some write as and when it comes to them - there's honestly no right or wrong way - do what works for you. I can literally write for days and it comes to me at the most random times - even at 1am in the morning - so I keep my laptop by my bed so I can pour my brain out on my Mac. I also carry around my laptop a lot when I'm travelling in case this happens then. It doesn't always have to involve a laptop - use your phone, IPad or go back to basics and keep a notepad with you. I find that notepads don't really work for me as I have a lot of them, so lose track of which one I've wrote my ideas in - and my writing is pretty big that I use a lot of paper. Because there are so many blogs out there, it's inevitable you'll compare yourself and your blog to others - but try not to. Your blog is special and unique because it's run by you! You'll also see the bigger and more successful blogs and may feel inadequate - again, try not to. You're on your own journey at a different stage but it takes a lot of hard work for them to get where they have. We should all encourage and support each other and enjoy our own blogging 'ride' so to speak. Whether it's going to events or joining in on weekly chats - immerse yourself with fellow bloggers. There's weekly #fbloggers, #bbloggers and #lbloggers chats on Twitter. If you have no idea what I'm talking about, twitter search those hashtags. Getting out and meeting bloggers at events may sound scary at first but once you get used to it, you'll have a ball and even make new friends. We live in such a social generation, so get involved. Follow your favourite bloggers on Instagram and Twitter. Like and comment on their posts and their blogs and share their content if you like it - you'll underestimate what it means to them but it'll make their day. Social media allows us to make an instant connection with people you normally wouldn't speak to and if you can't make it to events, it will give you a similar sense of community. I'm not going to say that stats aren't important, because to a degree - they are. But they aren't the be all and end all. Some people just run a blog because they want to - others run one because they want it to turn into a career or just make a little money on the side. But try to not get too wrapped up in figures. They'll come naturally and by getting yourself involved socially, going to events and word of mouth. Work hard, produce good content and let it happen. Just like everything in life, there are downsides - one is drama. It happens every now and then. I tend to distance myself from it, but there was (and possibly) is a very famous blogger gossip website that can house drama and sometimes independently drama kicks off on Twitter. I recommend you don't get involved, unless you think you're helping the situation. Just accept it happens, and move on.